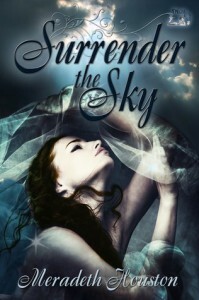 Surrender the Sky is a fast-paced YA paranormal with hair-raising action scenes and a sweet romance. There were lots of things I liked about this book and a few that I didn't. For one, I love the way the book begins. We're thrown into a desperate situation before we know the characters, and yet it works, giving the reader a unique look at what happens when everything doesn't go right for Gabby's kind, the Sary. Main character Gabby is at least a century old (I think) but acts like a hormonal teenager. Perhaps Sary have a slow mental and emotional maturity rate... I'm not quite sure how that works. She does have a strong sense of duty and seems to truly care about the humans she tries to save from themselves. Being an immortal angel doesn't stop her from falling in love, even though she knows a relationship is improbable. I found the plot to be confusing at times. The Sary have clean-up crews for damage control when things go awry. So it confused me when Gabby had to make amends. If humans weren't supposed to know about the Sary, I assumed they would wipe the memories or something of the sort. In this story, Gabby has to explain and get these teenagers to accept her for what she is without really explaining anything. Romantic interest Jassen and his twin brother Leon were interesting characters. For being a great future leader, Jassen seemed a bit wimpy and easy to manipulate. This is really apparent at the end when Gabby is forced to save the day. My impression was that the author spent so much time building Gabby into a strong character that she weakened the male lead and the villain in the process. All that aside, I quite enjoyed this novel and had a difficult time putting it down. The plot is action packed, moving the plot forward at a brisk clip. The overall premise is interesting even if it is somewhat confusing at times. 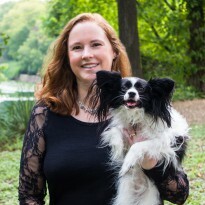 If you like paranormal stories, especially those about angels and forbidden love, I think you'll really enjoy Surrender the Sky.